This year the first Totally Tipperary food festival will take place in the grounds of Sarah Baker’s historic Cloughjordan House on Saturday 25th and Sunday 26th of June. This event is dedicated to celebrating local food and will be attended by a host of food bloggers, food producers, foodies and the general public. This two day festival will be packed with a myriad of cookery demonstrations, workshops to participate in, a wide selection of local produce and delicious food to enjoy. One of the main attractions at the Totally Tipperary food festival will be the Seomra Blog Bia which is based on the Salon de Blog format, a food blogger event hosted annually in Paris. 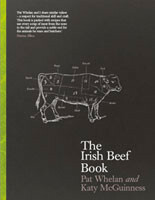 Seomra Blog Bia will be the first event of it’s kind in Ireland and will give amateur and celebrity food bloggers alike, the opportunity to demonstrate their favourite dishes, utilizing the best of local Irish food. These cooking demonstrations will be photographed, videoed, blogged and tweeted about in realtime on the day, sharing the event with a global audience through the web. 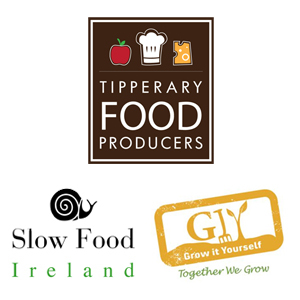 Members of the Tipperary Food Producers Network will be there to promote and showcase the best of Tipperary Food, with stalls setup on site providing visitors with a range of tasty local produce. A series of talks will be held by guest speakers from GIY Ireland, Seed Savers, Food Camp and Convergence, discussing the greater issues of today’s food economy. These talks will cover a range of topics including the Slow Food Movement and the activities of GIY Ireland, who encourage people to engage with local food and grow their own. The Cloughjordan Community Farm and the Cloughjordan Ecovillage will be on hand to provide visitors with information on the festivals events and on Saturday evening there will be a barbecue and dance which will give producers and visitors an opportunity to enjoy an evening together.